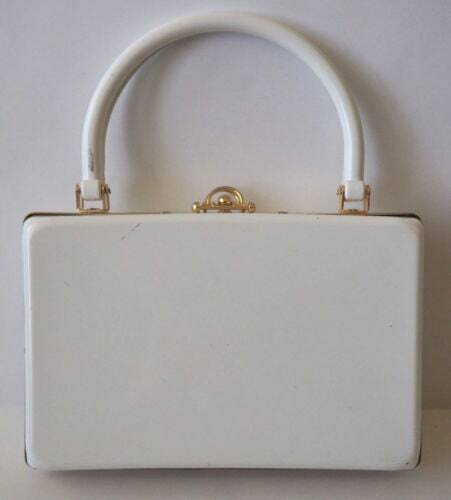 Pretty white box bag with gold tone metal trim. 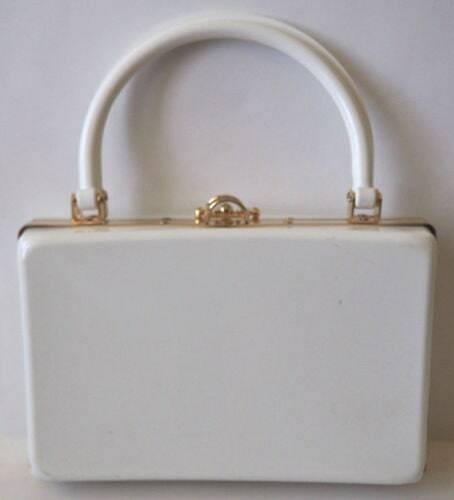 Late vintage Lucite handbag that will add to any summer outfit! Fold over metal catch. 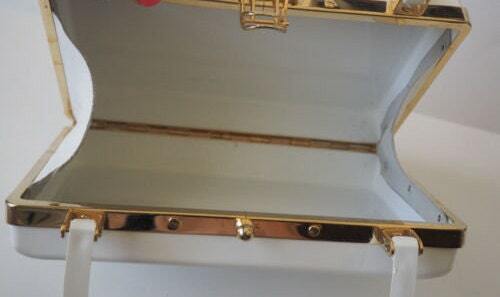 Handles are flat on the inside edge to lay flat together when holding. They have a 4 inch drop. Hinged bottom opens wide but held on each end with leather attachments. No label. Great piece! Dimensions: 9 inches long x 5.5 inches tall x 2.5 inches wide on the bottom.